A look at the Genealogy of Fanny Dart, wife of Cornelius McMillan, through an examination of her parents and siblings. “United States Census, 1850,” database with images, FamilySearch(https://familysearch.org/ark:/61903/1:1:MCTV-PX8 : 12 April 2016), Curtis Dart, Randolph, Cattaraugus, New York, United States; citing family 22, NARA microfilm publication M432 (Washington, D.C.: National Archives and Records Administration, n.d.). The eldest sister of Fanny was Elmira Penelope Dart. 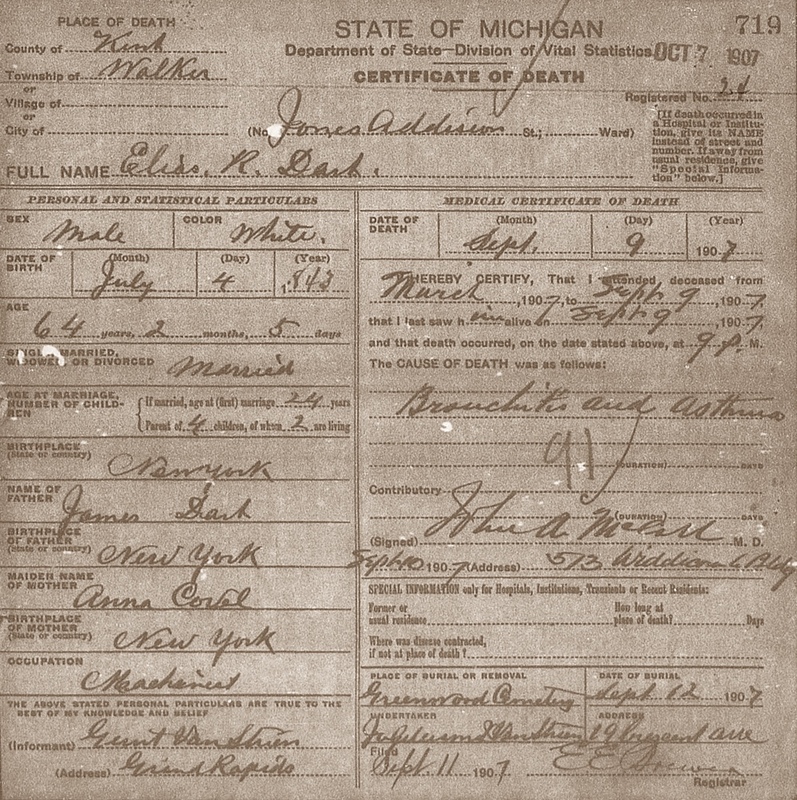 This Cedar Springs, Kent County, Michigan Death Certificate appears to be correct. 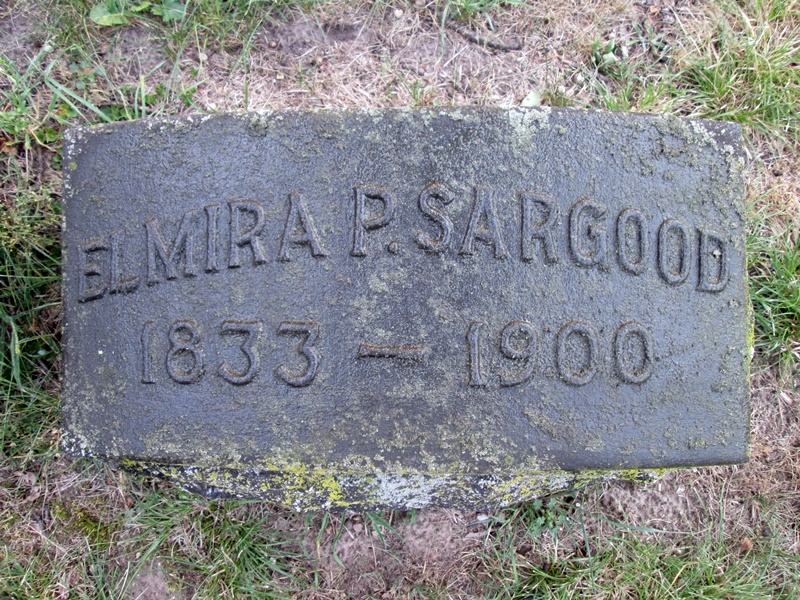 Deceased’s name: Elmira Sargood. 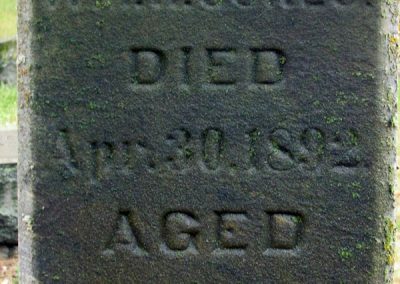 She died on 29 June 1900 from gallstone colic and old age. 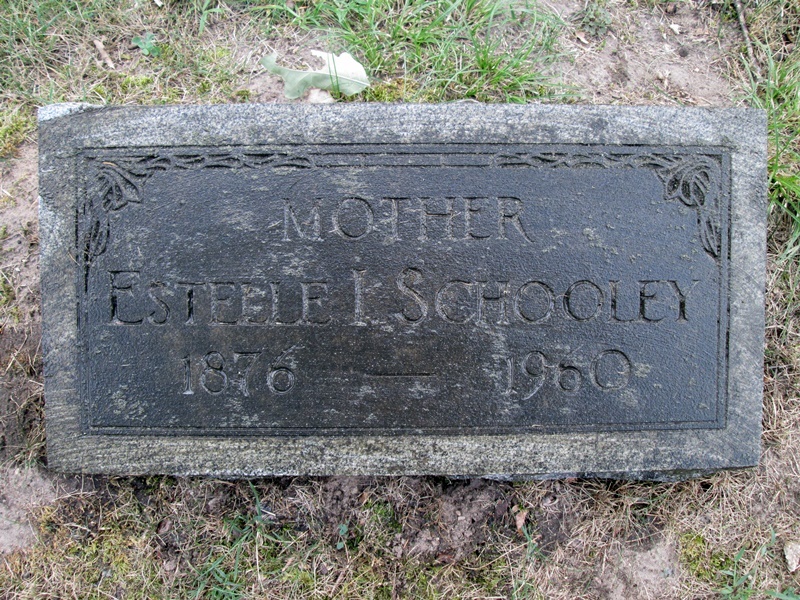 She is buried in Greenwood Cemetery in Walker, Michigan in the Sargood/Schooley lot: Lot 6E of Block I, near the south entrance off Leonard. 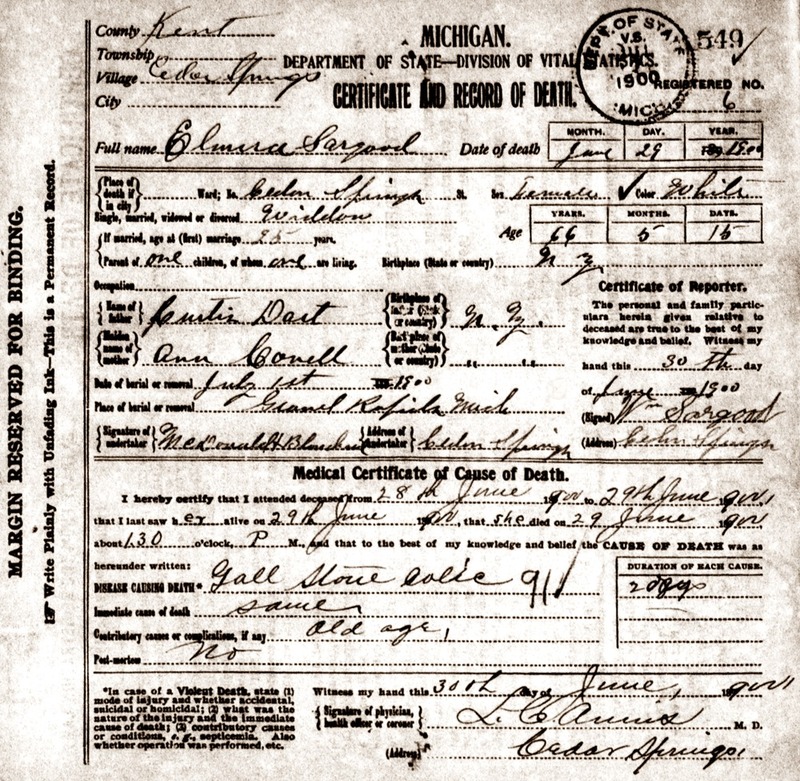 Death Certificate records her parents as Curtis Dart and Ann Covell, both born in New York. Age at death was 66 years, 5 months and 15 days. From the date of death of 29 June 1900 this calculates to a birth of 14 January 1834. Elmira was 25 at time of her marriage. 1859. She was widowed and living in Cedar Springs. Mother of one child of which one was living. 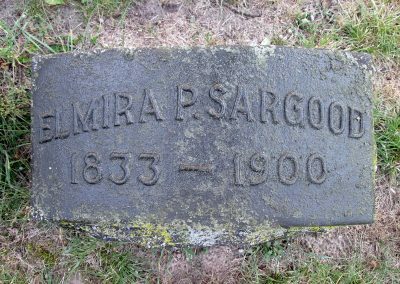 William Sargood was the only child born to Elmira Penelope Dart. 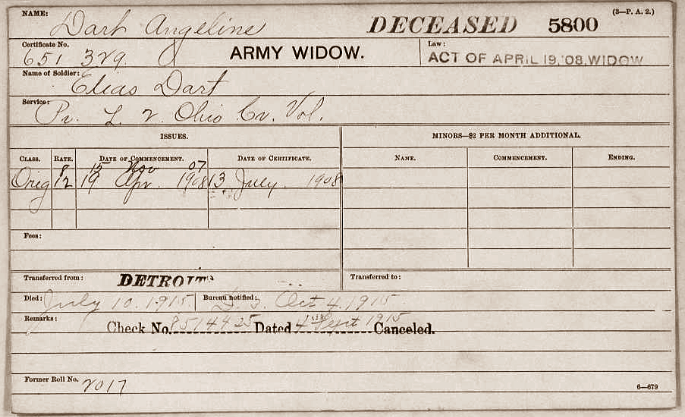 William’s Death Certificate confirms the name “Dart” as it names his mother, Elmira Dart and that she was born in New York. William was born 8 May 1868 in Buchanan, Berrien County, Michigan. 1900. William lived with his mother in Solon Township, Cedar Springs Village, Kent County, Michigan. 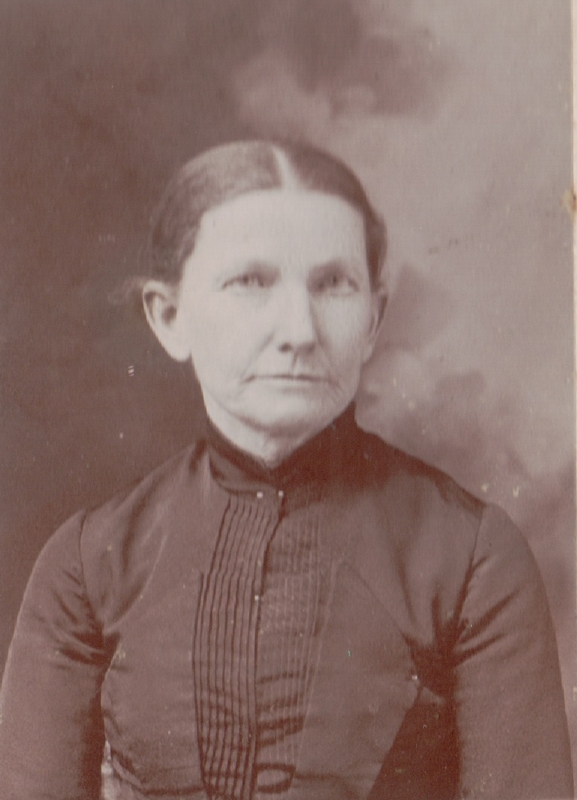 Elmira was born October 1832 and was 67; mother of 1, 1 living. William was born May 1870 [sic] and was 30, owned his home, and worked as a hostler. Mom and son had a boarder. 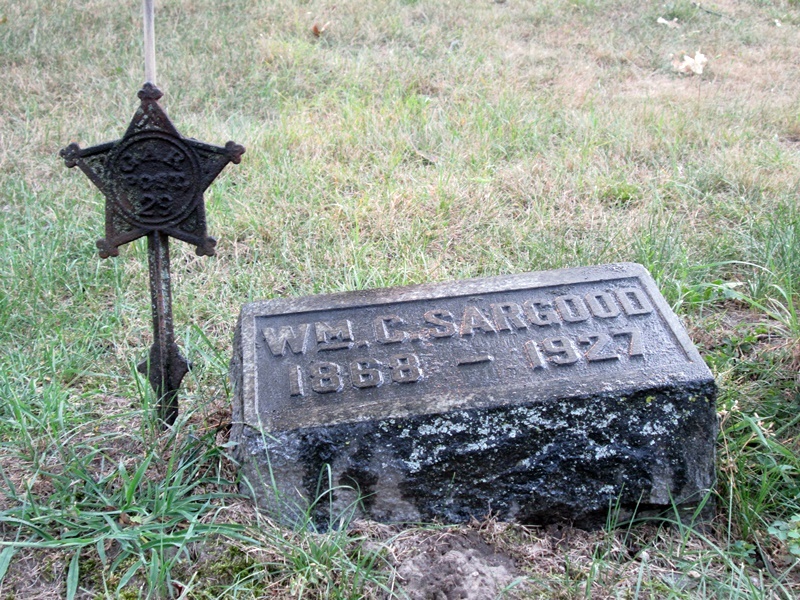 “United States Census, 1900,” database with images, FamilySearch(https://familysearch.org/ark:/61903/1:1:MSM1-QRB : accessed 13 August 2018), William C Sargood in household of Elmyra Sargood, Solon township Cedar Springs village, Kent, Michigan, United States; citing enumeration district (ED) 102, sheet 5A, family 128, NARA microfilm publication T623 (Washington, D.C.: National Archives and Records Administration, 1972. ); FHL microfilm 1,240,723. 1910. William rents a home at 115 Shawmut in Walker Township, Kent, Michigan. He is 41, single, and works as a teamster. He lives with his two (step)sisters: Selina E. Johns, age 53, widowed, mother of 2 – 2 living; Myra Johns (niece), age 19 and single; Matie E. Loosey, age 23, widowed, mother of 2 – 2 living; Ruth E. Loosey, age 2, and Perl S. Loosey, age 7 months. “United States Census, 1910,” database with images, FamilySearch(https://familysearch.org/ark:/61903/1:1:ML5Y-3JZ : accessed 13 August 2018), William C Sargood, Grand Rapids Ward 8, Kent, Michigan, United States; citing enumeration district (ED) ED 95, sheet 7B, family 168, NARA microfilm publication T624 (Washington D.C.: National Archives and Records Administration, 1982), roll 657; FHL microfilm 1,374,670. William did marry at age 49 in Grand Rapids, Helen Carey Crofoot, age 50, who had been married once before. They did not share any children. Elmira’s line ends there. “Michigan Marriages, 1868-1925”, database with images, FamilySearch (https://familysearch.org/ark:/61903/1:1:N3R7-M8Z : 15 May 2018), Wm. 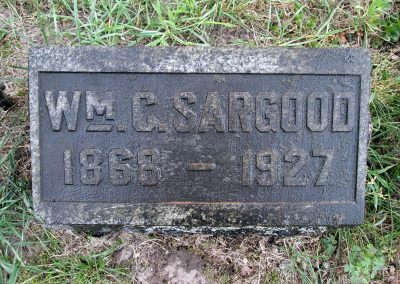 C. Sargood and Helen Crofoot Carey, 1917. 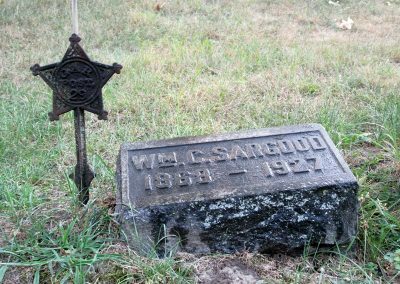 Elmira Dart Sargood is found in Berrien County in 1870, the county of William’s birth. 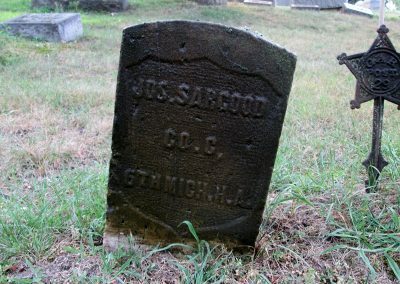 Joseph Sargood was 45, worked as a wood turner, owned real property valued at $500 and personal property of $250, he was born in England. Celina is either a daughter from a previous marriage or a visitor. She was not Elmira’s daughter by blood. Elmira married at age 25 (1859); Celina was born (1857). “United States Census, 1870,” database with images, FamilySearch(https://familysearch.org/ark:/61903/1:1:MHHZ-6YV : 12 April 2016), Joseph Sargood, Michigan, United States; citing p. 6, family 53, NARA microfilm publication M593 (Washington D.C.: National Archives and Records Administration, n.d.); FHL microfilm 552,163. Joseph is seen here with 3-year old Selina and her mother, also named Selina, age 31. How did Joseph meet Elmira? 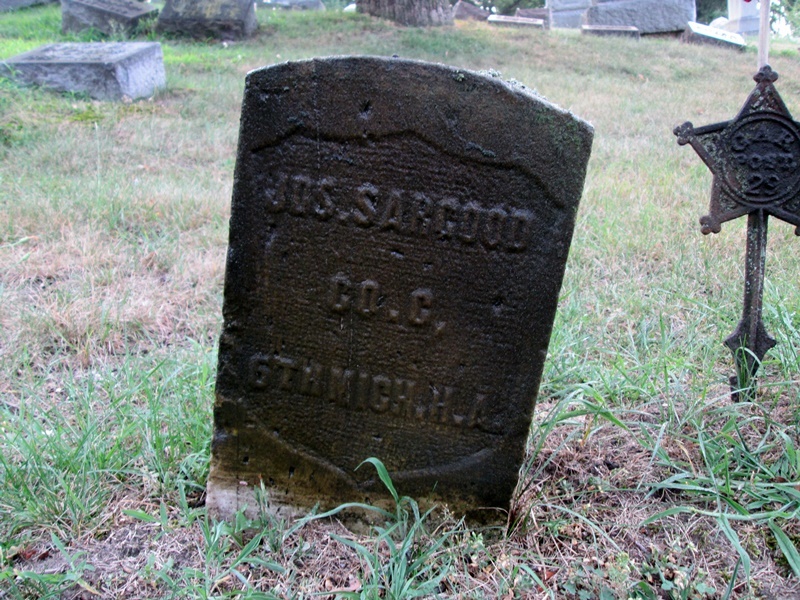 “United States Census, 1860”, database with images, FamilySearch(https://familysearch.org/ark:/61903/1:1:MWDY-3M9 : 14 December 2017), Joseph Sargood, 1860. The answer lies with another 1860 census. Elmira was married previously to a James C. Donnell, a 32-year old farmer. It is James that she married at 25. She was 26 on this census. 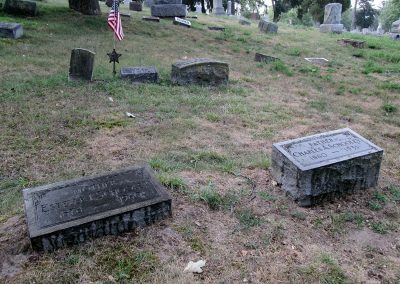 Note too that Sophronia L Dart, age 11, was living with her sister – and Fanny R. Hazleton. Was this Fanny Dart? She was only 15. 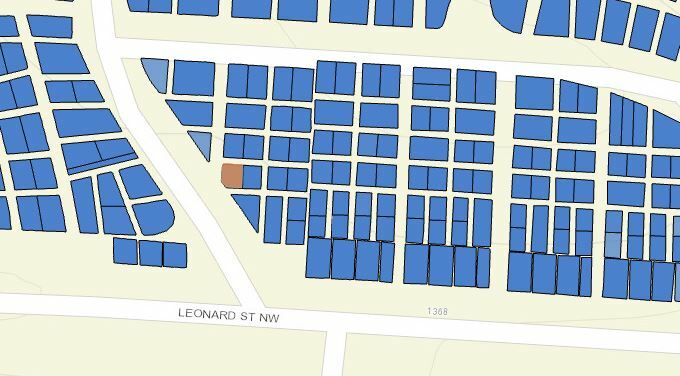 Ages certainly are in sync with the 1870 Census. Would explain why there are no 1860 census results for a Fanny Dart. “United States Census, 1860”, database with images, FamilySearch(https://familysearch.org/ark:/61903/1:1:MWDJ-FJ9 : 14 December 2017), Elmira P Donnell in entry for James C Donnell, 1860. Francis (Fanny) R. Dart was indeed married at the age of 15 to John W. Hazleton, himself 31 years. This marriage took place on 27 November 1859 at Lake Township, Berrien County, Michigan. So why then was Fanny (Dart) Hazleton living with her older sister in 1860? 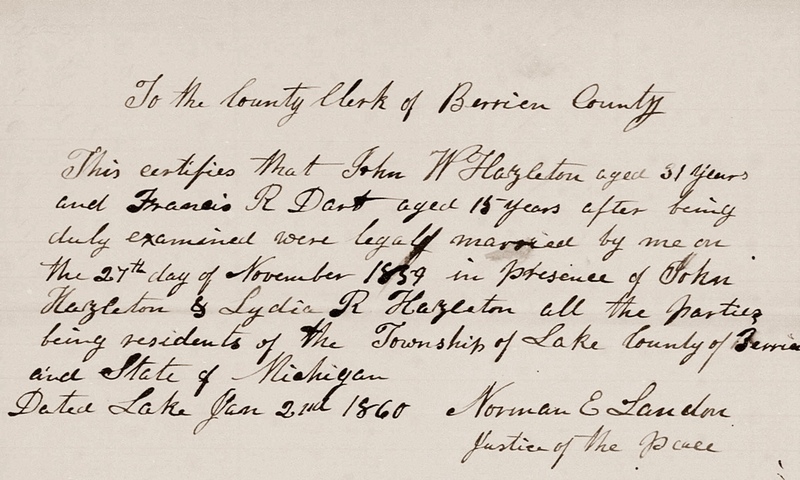 “Michigan, County Marriages, 1820-1940,” database with images, FamilySearch(https://familysearch.org/ark:/61903/1:1:VNKP-BRV : 11 May 2018), John W Hazleton and Francis R Dart, 27 Nov 1859, , Berrien, Michigan, United States; citing reference ID , various archives, Michigan; FHL microfilm 2,240,460. The eldest brother of Fanny was Freeman Horis Dart. 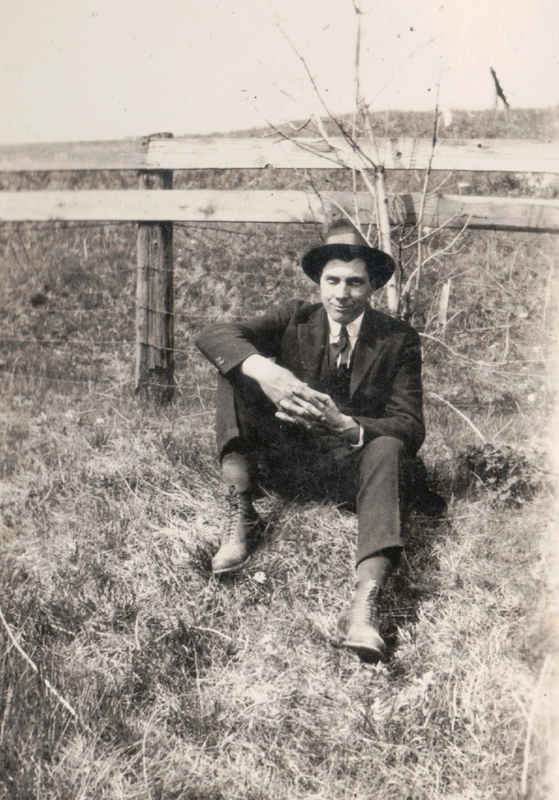 Freeman Dart, age 23, born in New York was living in the Harrison Loshbough residence; Harrison and his wife Mary Ann also being from New York. Freeman was employed as a well digger. “United States Census, 1860”, database with images, FamilySearch(https://familysearch.org/ark:/61903/1:1:MWDJ-VGB : 14 December 2017), Freman Dart in entry for Harrison Loshbough, 1860. 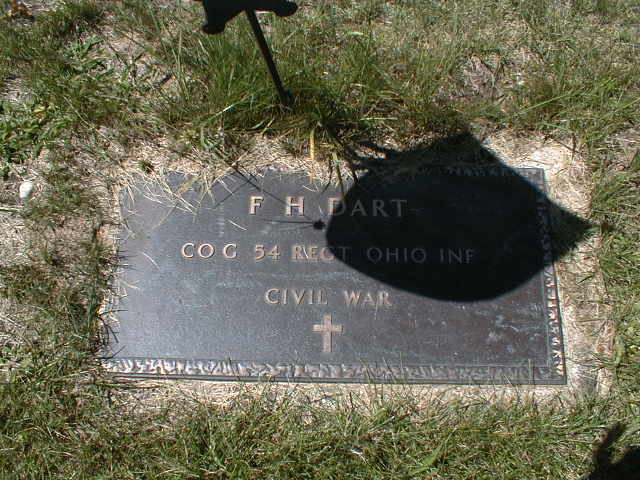 Freeman Dart was mustered into the 14th Ohio Infantry, company G on 22 April 1861 to serve for a period of 3 months. He was mustered out with company on 13 August 1861. He was 23 years old at time of enlistment. Freeman H. Dart married Sarah E. Porter on Christmas Day 1862 in Putnam County, Ohio. They were wed by a Justice of Peace. “Ohio, County Marriages, 1789-2013,” database with images, FamilySearch (https://familysearch.org/ark:/61903/1:1:X88W-VF2 : 10 December 2017), Freeman H. Dart and Sarah E. Porter, 25 Dec 1862; citing Putnam, Ohio, United States, reference 65; county courthouses, Ohio; FHL microfilm 915,774. 1864. Lincoln’s War – Enlistment 2. 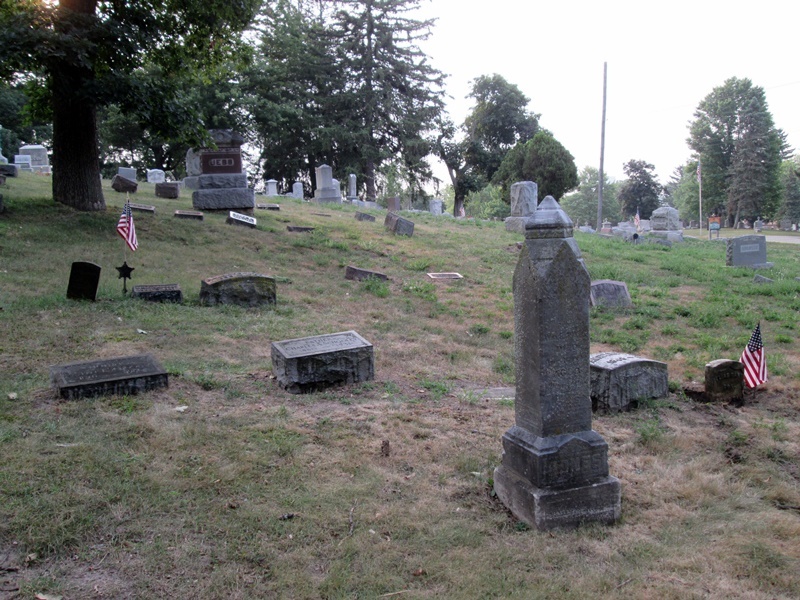 Freeman was mustered into the 54th Ohio Infantry, company C on the 29th of February 1864 for a period of 3 years. He was 26 years old at time of enlistment. Notes say that Freeman was sick at Larkinsville, Alabama from 1 May 1864. He was mustered out with his company on 15 August 1865 at Columbus, Ohio. Post-war Freeman worked as a sawyer in Vergennes, Kent County, Michigan. His personal property was valued at $150. He was 31. Wife Sarah worked as a housekeeper. She was 21. A new addition to the family was 3-year old Eva Dart, born in Michigan. “United States Census, 1870,” database with images, FamilySearch (https://familysearch.org/ark:/61903/1:1:MHH1-X75 : 12 April 2016), Freeman Dart, Michigan, United States; citing p. 10, family 62, NARA microfilm publication M593 (Washington D.C.: National Archives and Records Administration, n.d.); FHL microfilm 552,181. On 13 January 1880 Freeman applied for an invalid pension due to his time in service. 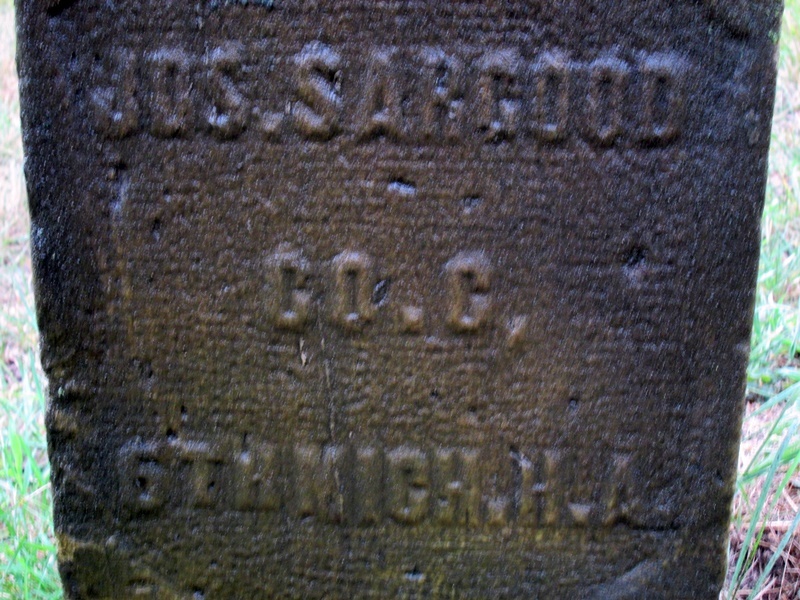 Sarah applied for a subsequent widow’s pension on 3 September 1896 after Freeman’s death. 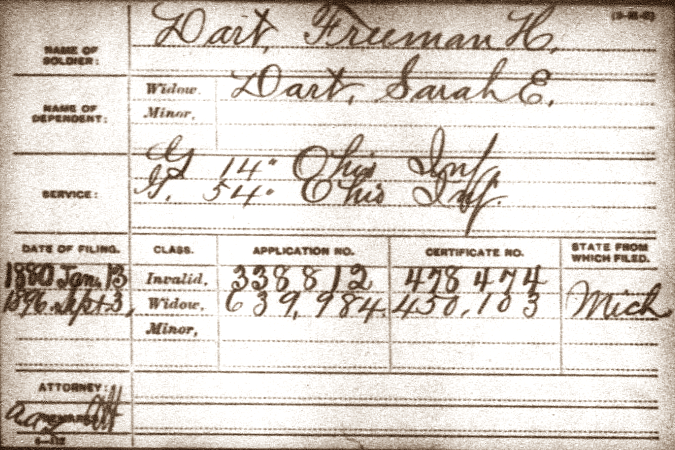 “United States General Index to Pension Files, 1861-1934”, database with images, FamilySearch (https://familysearch.org/ark:/61903/1:1:KDYD-3KJ : 13 March 2018), Freeman H Dart, 1880. 1880 US Census: Buchanan, Berrien County, Michigan. Freeman moved his family to Berrien County. He had to file for pension from the State served. Now 42, he tried his hand at the law profession. Sarah was 32. Daughter Eva was now 13 and in school. Daughter Estelle R was 3. “United States Census, 1880,” database with images, FamilySearch (https://familysearch.org/ark:/61903/1:1:MW9R-LVS : 14 August 2017), Freman H Dart, Buchanan, Berrien, Michigan, United States; citing enumeration district ED 5, sheet 128B, NARA microfilm publication T9 (Washington D.C.: National Archives and Records Administration, n.d.), roll 0572; FHL microfilm 1,254,572. Freeman and family were living in Nelson Township. Freeman was 55; wife Sarah was 46; and two sons living at home, Charles B., age 10 and Calvin E., age 6. “Michigan State Census, 1894,” database, FamilySearch (https://familysearch.org/ark:/61903/1:1:XHKX-82C : 8 November 2017), Freeman H Dart, Nelson, Kent, Michigan, United States; citing p. 67, State Archives, Lansing; FHL microfilm 984,658. 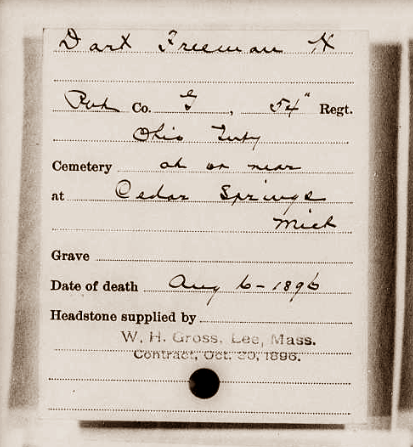 Freeman passed on 6 August 1896 in Grand Rapids. He was 57 years, 2 months and 20 days old. 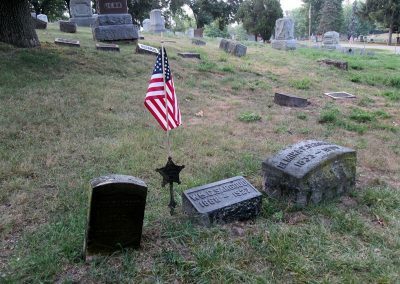 Reason contributing to his passing was “lung trouble” contracted during Lincoln’s War. It appears his lawyer days were soon passed, he was once again a farmer. 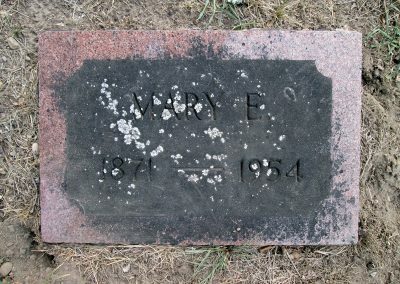 “Michigan Deaths, 1867-1897,” database with images, FamilySearch (https://familysearch.org/ark:/61903/1:1:N3KK-GBH : 10 March 2018), Freeman H. Dart, 06 Aug 1896; citing p 71 rn 5493, Grand Rapids, Kent, Michigan, Department of Vital Records, Lansing; FHL microfilm 2,363,835. A government headstone was supplied for Freeman. 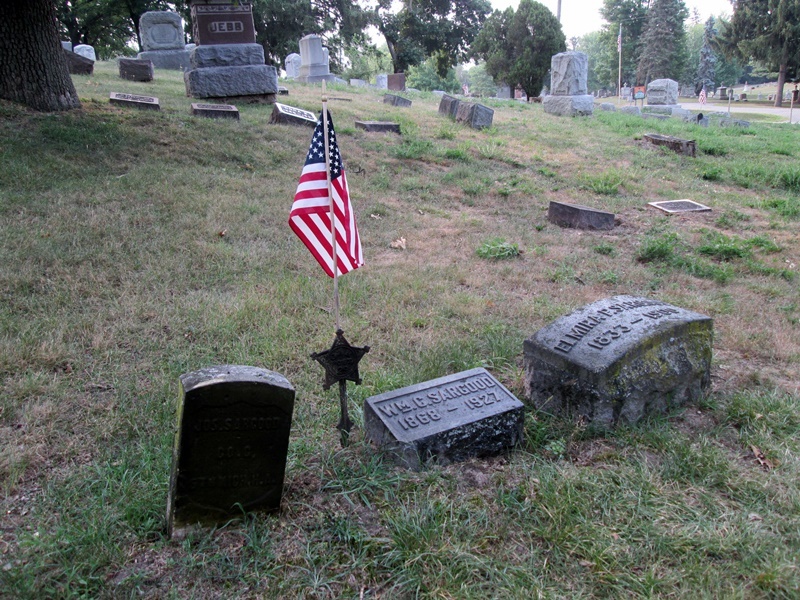 He was buried in Elmwood Cemetery at Cedar Springs. Children between the union of Freeman Horis Dart and Sarah Porter include: Eva, Estelle, Charles and Calvin. 2nd oldest sister of Fanny (Dart) McMellen. Adeline (Adda) Dart was entered into marriage on 5 February 1863 to James H. Sherwood at Buchanan, Berrien County, Michigan. Adda was 21 years old; James 26 (about 1837). “United States Census, 1870,” database with images, FamilySearch (https://familysearch.org/ark:/61903/1:1:MHHZ-JNJ : 12 April 2016), James Sherwood, Michigan, United States; citing p. 41, family 385, NARA microfilm publication M593 (Washington D.C.: National Archives and Records Administration, n.d.); FHL microfilm 552,162. The Sherwood family continues to live in Buchanan Township. James Sherwood, age 41, works as carpenter. “United States Census, 1880,” database with images, FamilySearch (https://familysearch.org/ark:/61903/1:1:MW9R-JBQ : 14 August 2017), James Sherwood, Buchanan, Berrien, Michigan, United States; citing enumeration district ED 5, sheet 135C, NARA microfilm publication T9 (Washington D.C.: National Archives and Records Administration, n.d.), roll 0572; FHL microfilm 1,254,572. An Addie Sherwood died on 16 December 1895 at the age of 54 in Michigan City, LaPorte, Indiana. 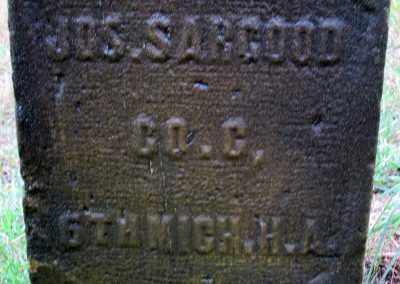 And a James H. Sherwood died on 4 September 1897 at the age of 63 in the same locale. “Indiana Death Index, 1882-1920,” database, FamilySearch(https://familysearch.org/ark:/61903/1:1:VZ7N-BTF : 3 December 2014), Addie Sherwood, 16 Dec 1895, Mich City, Indiana; from “Indiana Deaths, 1882-1920,” database, Ancestry (http://www.ancestry.com : 2003); citing “The source of this record is the book CSS-2 on page 113 within the series produced by the Indiana Works Progress Administration.” County Health Office, Laporte. 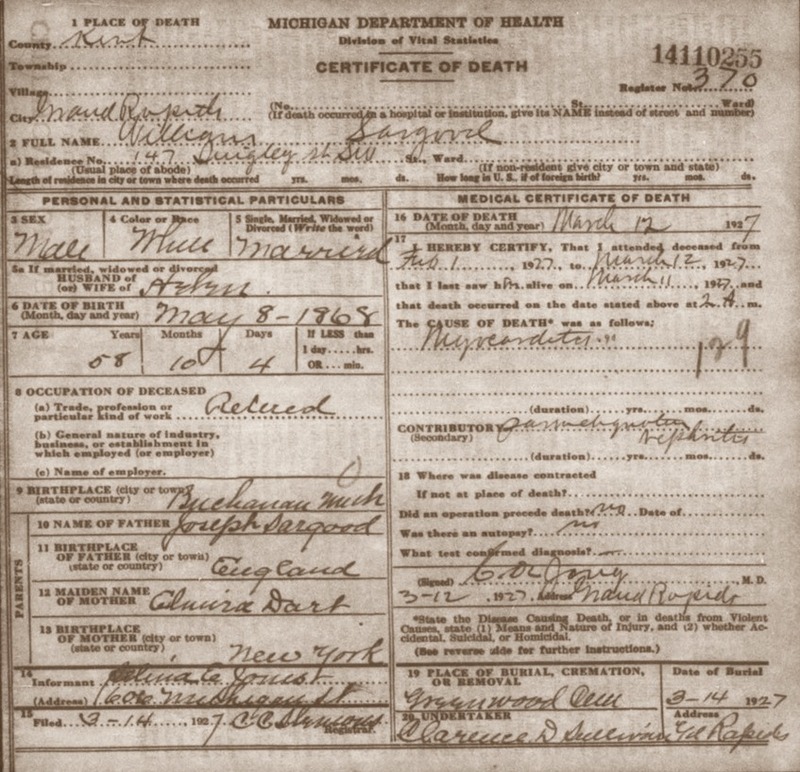 “Indiana Death Index, 1882-1920,” database, FamilySearch(https://familysearch.org/ark:/61903/1:1:VZ7N-BXZ : 3 December 2014), James H. Sherwood, 04 Sep 1897, Mich City, Indiana; from “Indiana Deaths, 1882-1920,” database, Ancestry (http://www.ancestry.com : 2003); citing “The source of this record is the book CSS-2 on page 113 within the series produced by the Indiana Works Progress Administration.” County Health Office, Laporte. Children between the union of James H. Sherwood and Adeline Dart include: Ida Sherwood and Henry C. Sherwood. The 2nd oldest brother of Fanny Dart. 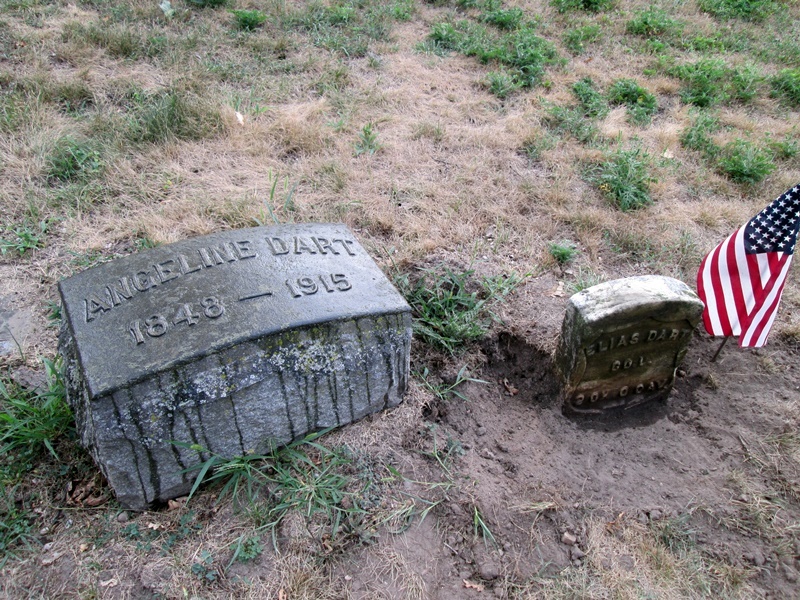 Elias R. Dart died on 9 September 1907 in Walker, Kent County, Michigan. He was 64 years, 2 months, and 5 days at time of death. Calculated Birth: 4 July 1843. 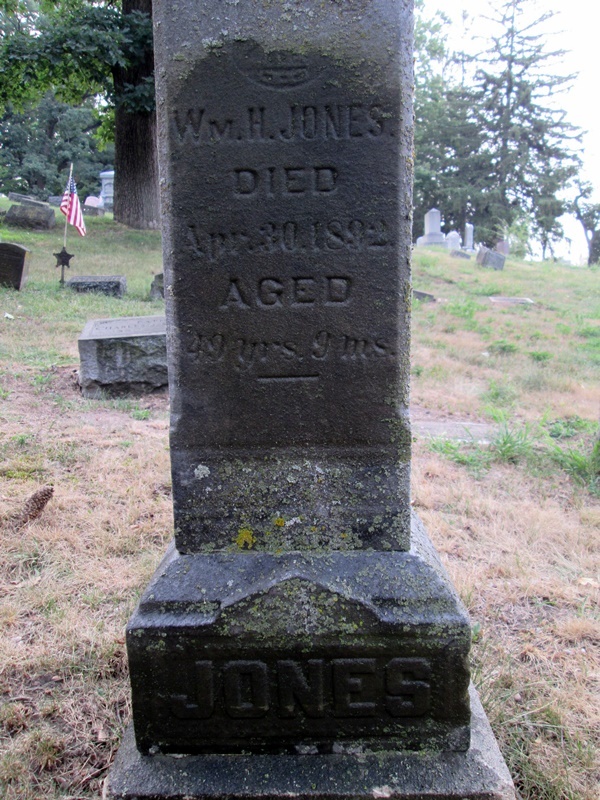 He was married (24 at first marriage) and had 4 children of whom 2 were living in 1907. His father is listed as James Dart of New York; mother, Anna Covel of New York. Elias worked as a machinist. Bronchitis and Asthma were contributing factors to his death. 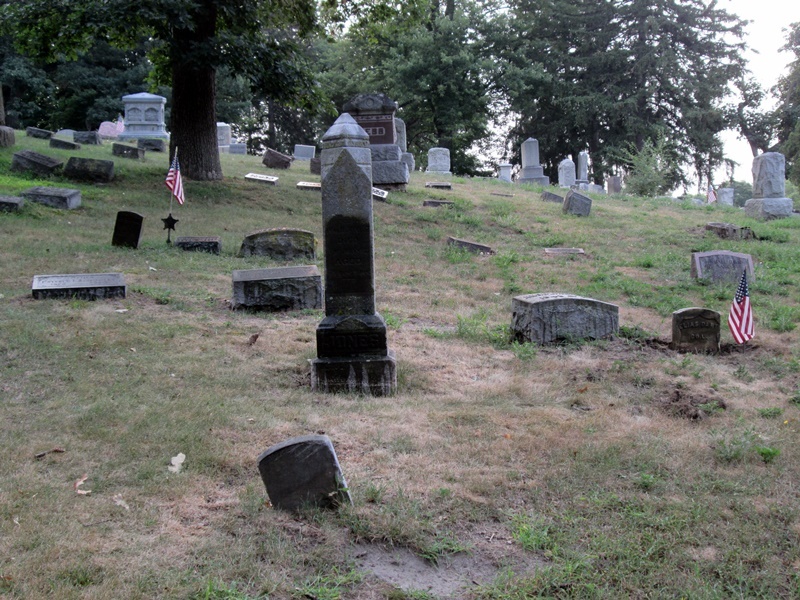 Elias is buried in Greenwood Cemetery (Walker). 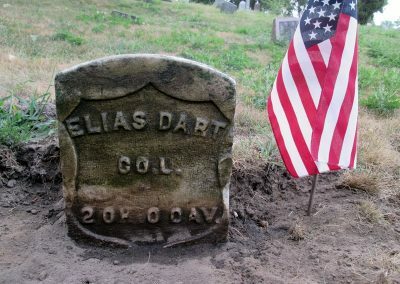 Elias R. Dart served in Lincoln’s War with the 86th Ohio Infantry, company E and apparently transferred to the 2nd Cavalry Ohio, company L. Official roster for the 86th Infantry states that Elias “never mustered”. 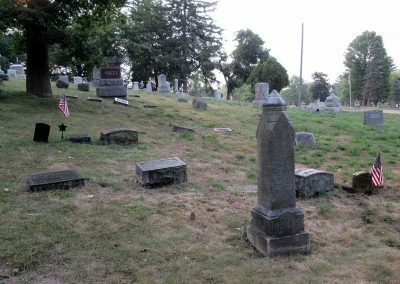 The times between both enlistments is close: 3 July 1863 for the 86th Infantry, then 17 August 1863 for the 2nd Cavalry Ohio, mustering out of service on 12 October 1865. Elias was 20 when enlisting. His unit was present at Cedar’s Creek, Five Forks, and other Virginia campaigns. 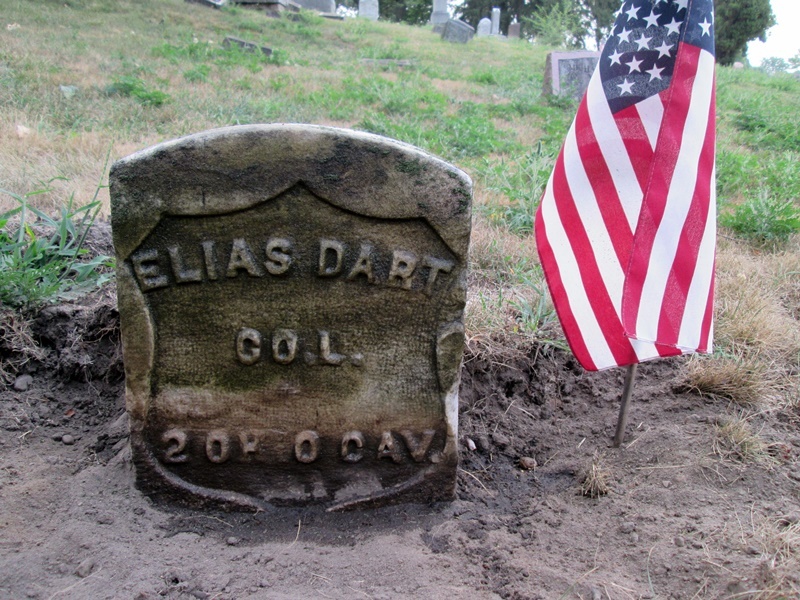 “United States Civil War Soldiers Index, 1861-1865,” database, FamilySearch(https://familysearch.org/ark:/61903/1:1:FSMY-BXQ : 4 December 2014), Elias R. Dart, Private, Company E, 86th Regiment, Ohio Infantry, Union; citing NARA microfilm publication M552 (Washington D.C.: National Archives and Records Administration, n.d.), roll 25; FHL microfilm 882,238. On the 30th of January 1866 Elias Dart married Margaret Long at Paulding County, Ohio. “Ohio, County Marriages, 1789-2013,” database with images, FamilySearch(https://familysearch.org/ark:/61903/1:1:XDWJ-7YG : 11 February 2018), Elias R. Dart and Margaret Song, 30 Jan 1866; citing Paulding, Ohio, United States, reference pg 62; county courthouses, Ohio; FHL microfilm 317,303. Elias Dart is found in Auglaize, Ohio for the 1870 Census. He and his newly-wed wife have two children born in Ohio. Elias is 28, born in New York, and works as a day laborer. Margaret (Long) is 22, born in Ohio, and keeps house. Daughter Mary Ann is 3, born Ohio. 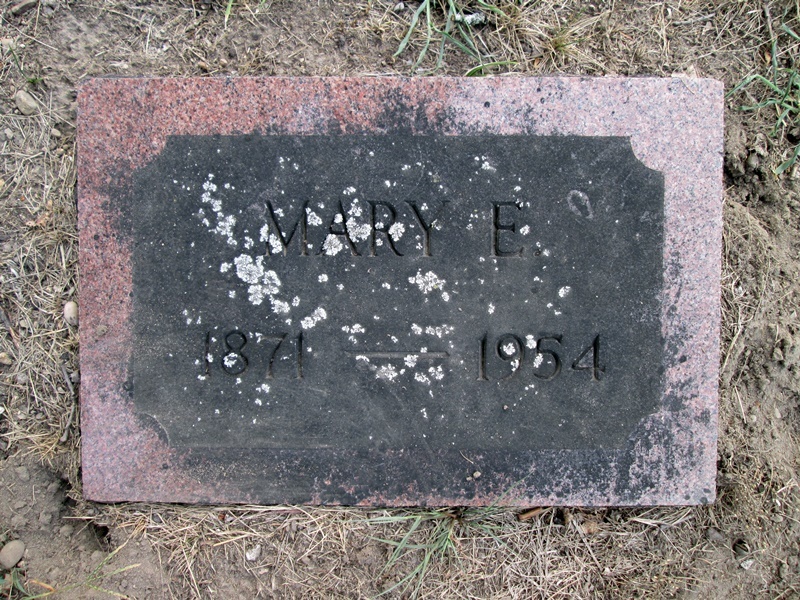 Mary Ann Dart was born 27 August 1867 at Emerald, Paulding, Ohio. Daughter Sarah C. is 1, born Ohio. 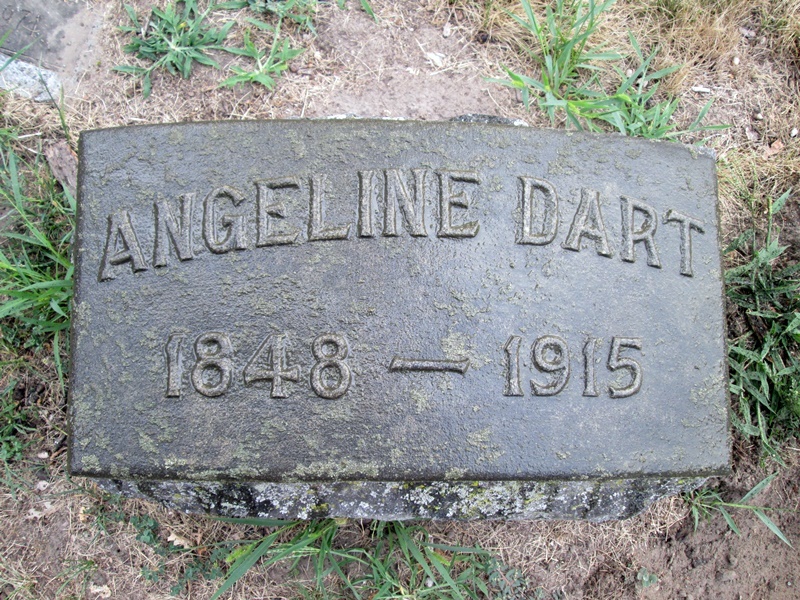 Sarah Catherine Dart was born 5 May 1869 at Auglaize. “United States Census, 1870,” database with images, FamilySearch(https://familysearch.org/ark:/61903/1:1:M6LX-BBK : 12 April 2016), Elias R Dart, Ohio, United States; citing p. 12, family 86, NARA microfilm publication M593 (Washington D.C.: National Archives and Records Administration, n.d.); FHL microfilm 552,753. 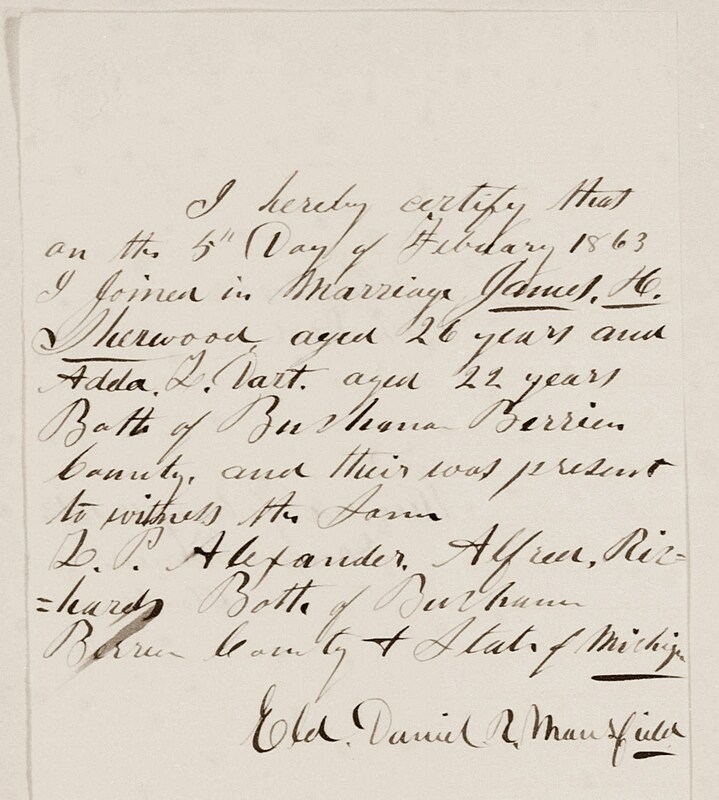 “Ohio, County Births, 1841-2003,” database with images, FamilySearch(https://familysearch.org/ark:/61903/1:1:VR9N-139 : 13 March 2018), Elias R. Dart in entry for Sarah Catherine Dart, 05 May 1869; citing Birth, Auglaize, Paulding, Ohio, United States, county courthouses, Ohio; FHL microfilm 925,298. 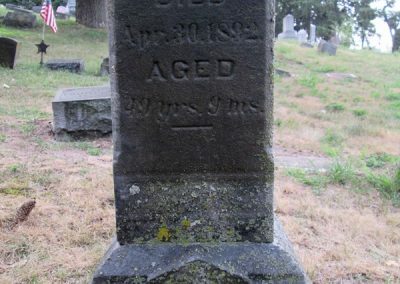 “Ohio, County Births, 1841-2003,” database with images, FamilySearch(https://familysearch.org/ark:/61903/1:1:VR9N-NZM : 13 March 2018), Elias Dart in entry for Mary Ann Dart, 27 Aug 1867; citing Birth, Emerald, Paulding, Ohio, United States, county courthouses, Ohio; FHL microfilm 925,298. Eliza S. Dart was born on 21 July 1875 at Junction, Paulding, Ohio. Marked as male in the book. “Ohio, County Births, 1841-2003,” database with images, FamilySearch(https://familysearch.org/ark:/61903/1:1:VR9V-WTQ : 13 March 2018), E.R. 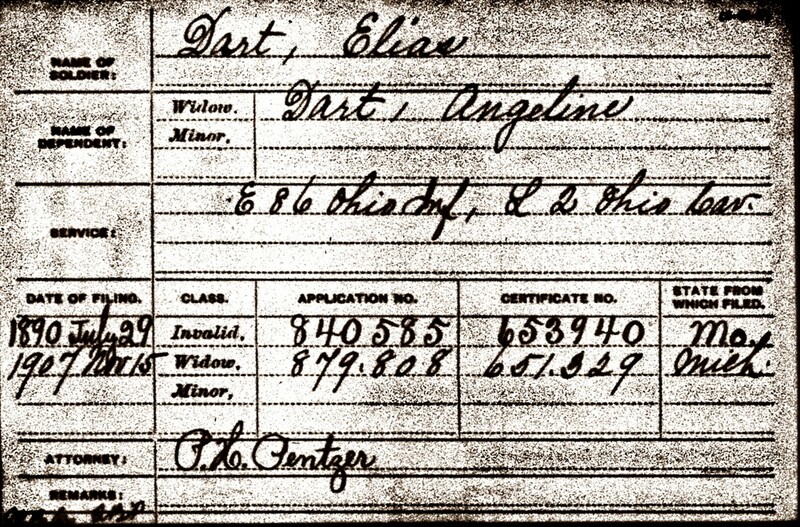 Dart in entry for Eliza S. Dart, 21 Jul 1875; citing Birth, Junction, Paulding, Ohio, United States, county courthouses, Ohio; FHL microfilm 925,298. Elias Dart was married a second time to Angeline Malcolm of Grand Rapids on 19 June 1883 in Grand Rapids by William Wing, Minister of the Gospel. Elias was then 39; Angeline 34. Elias worked as a mechanic. Witnesses were Merinda Taylor of Grand Rapids and Elias’ sister Addie Sherwood of Michigan City, Indiana. 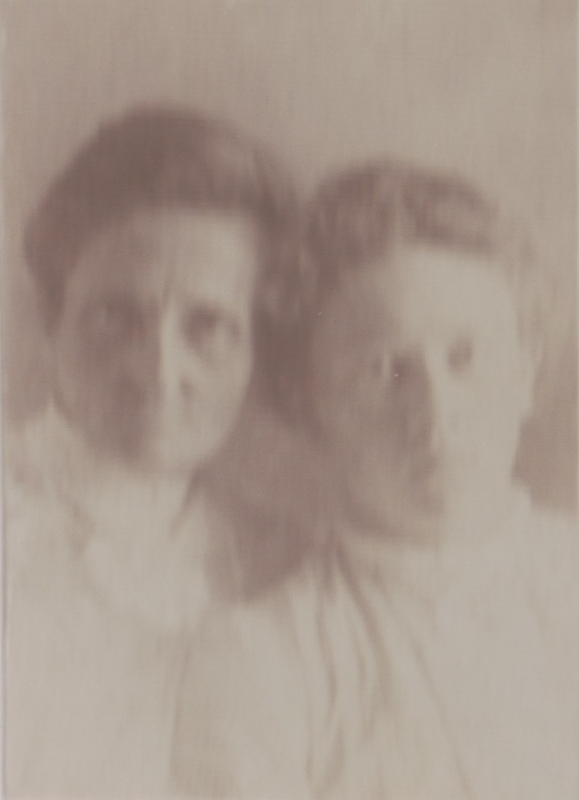 “Michigan Marriages, 1868-1925”, database with images, FamilySearch(https://familysearch.org/ark:/61903/1:1:NQ3R-JQV : 15 May 2018), Elias R. Dart and Angeline Malcolm, 1883. Dart Elias R, supt Nason’s boarding house. 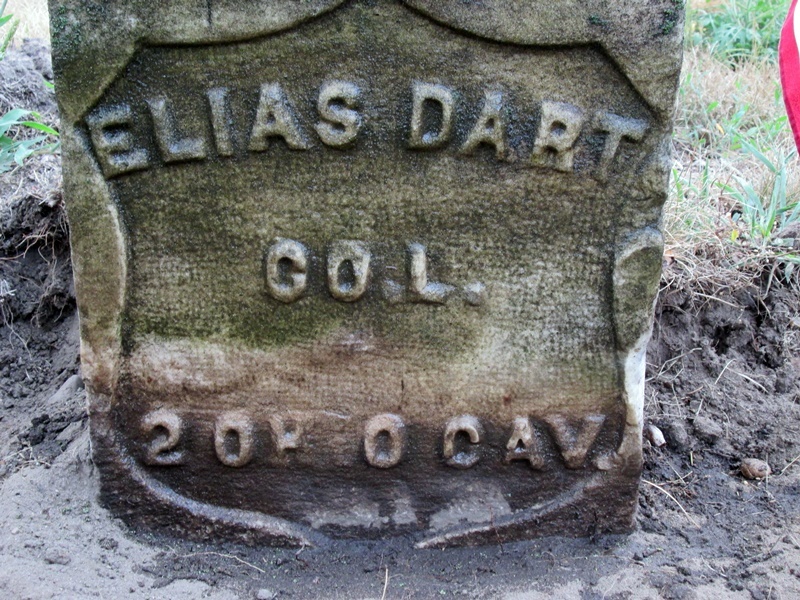 Dart Elias, gardener, res Walker twp. Dart Elias R, lab, h n s Cogswell av 6 w of Alpine av. Dart Angeline (wid Elias R), h n s Cogswell av 6 w of Alpine av. This is the likely 1894 census for Elias Dart. He would be 52 that year and was born in New York. His wife was Angeline (Ann for short). 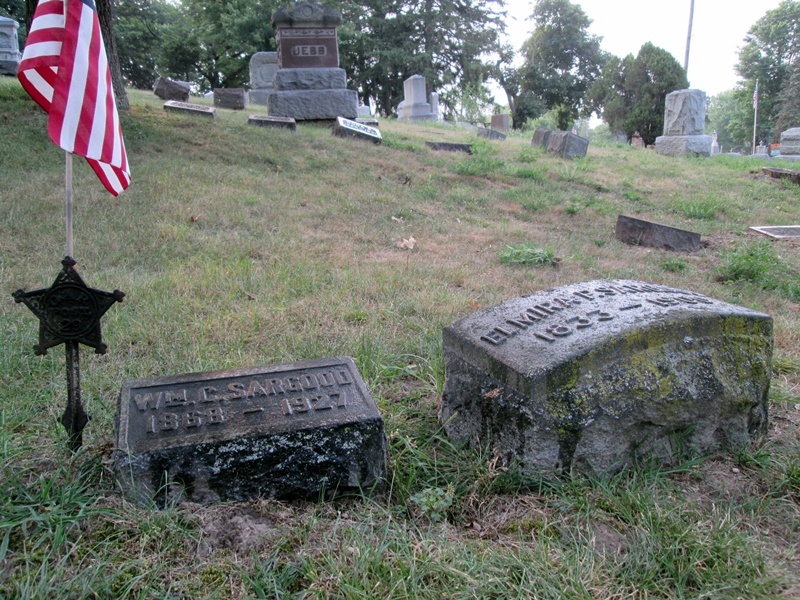 The only discrepancy is the answer to whether Elias was a veteran of Lincoln’s War. It is marked “no”. Both Elias and Ann are marked as being in Michigan for 40 years. Angelina was born in Michigan so this should equate to 46, her age at the time. Unless she was absent from Michigan for a period. Elias R Dart, head, born July 1863, age 56, married 16 years, born NY, works as carpenter, owns home free of mortgage. 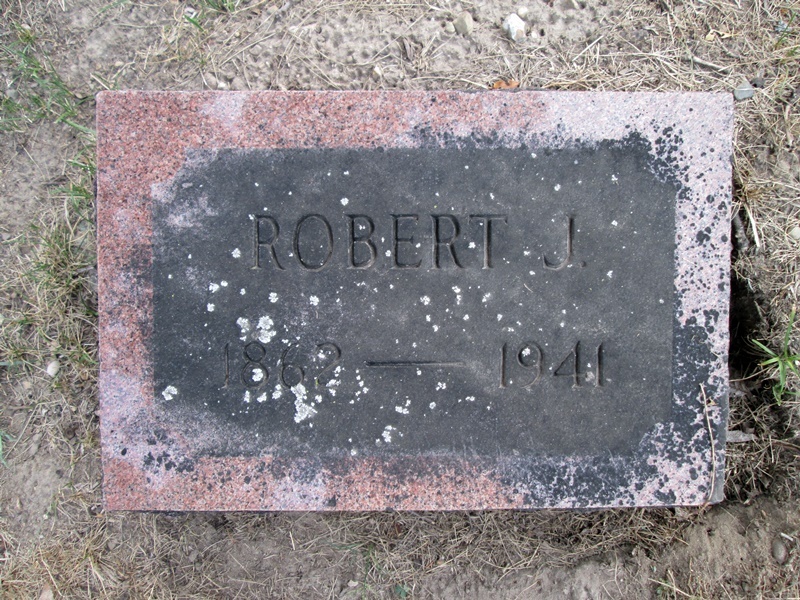 The couple has a boarder named Joseph F. Robinson from Ireland. “United States Census, 1900,” database with images, FamilySearch(https://familysearch.org/ark:/61903/1:1:MSM1-PPY : accessed 14 August 2018), Elias R Dart, Walker township, north side, Kent, Michigan, United States; citing enumeration district (ED) 110, sheet 5A, family 96, NARA microfilm publication T623 (Washington, D.C.: National Archives and Records Administration, 1972. ); FHL microfilm 1,240,723. 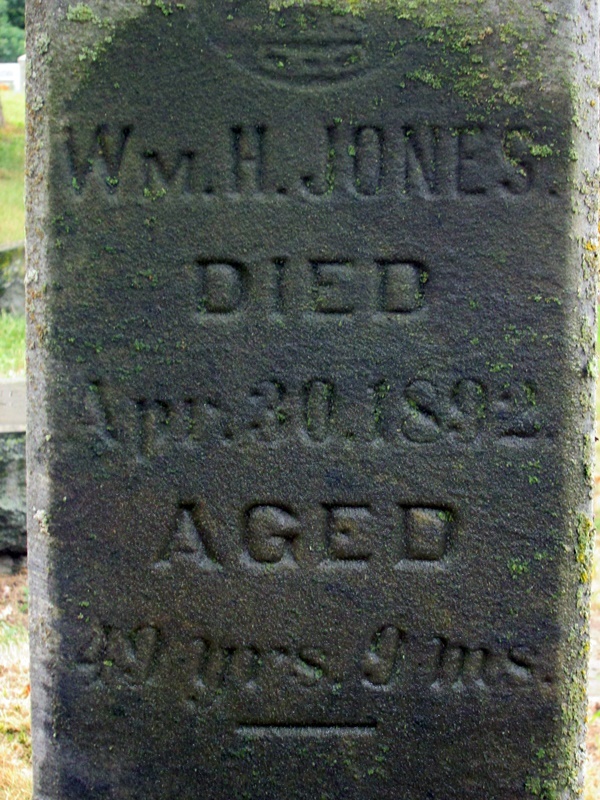 Elias died 9 September 1907. 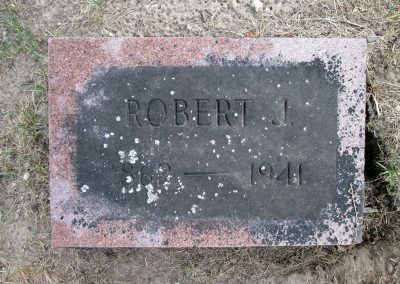 He is buried in Greenwood Cemetery at Walker, Michigan: Block I, Lot 6W adjacent wife Angeline. “United States Veterans Administration Pension Payment Cards, 1907-1933,” database with images, FamilySearch (https://familysearch.org/ark:/61903/1:1:K6HV-3L7 : 11 March 2018), Elias Dart, 1907-1933; citing NARA microfilm publication M850 (Washington, D.C.: National Archives and Records Administration, n.d.); FHL microfilm 1,634,572. 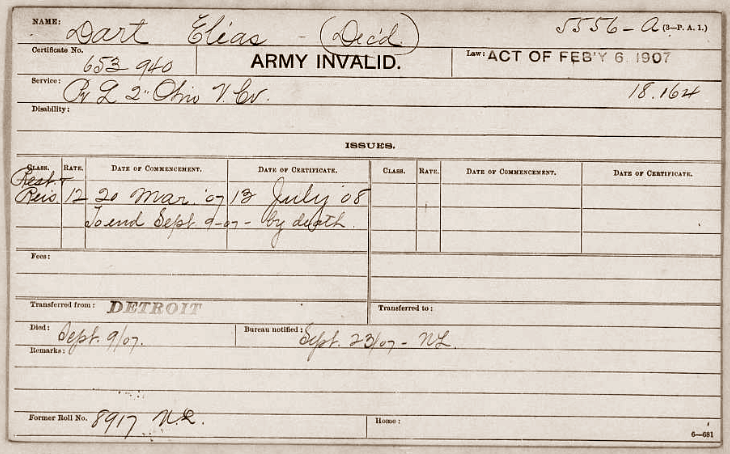 “United States Veterans Administration Pension Payment Cards, 1907-1933,” database with images, FamilySearch (https://familysearch.org/ark:/61903/1:1:K6HV-32F : 11 March 2018), Elias Dart, 1907-1933; citing NARA microfilm publication M850 (Washington, D.C.: National Archives and Records Administration, n.d.); FHL microfilm 1,634,572. 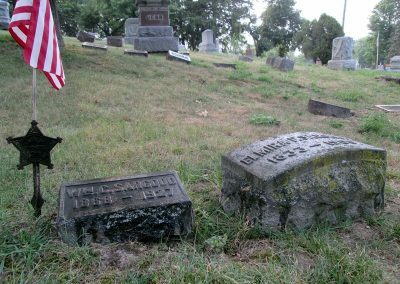 Elias Dart mentions service in both the 86th Ohio Infantry, co. E and the 2nd Ohio Cavalry, co. L. Elias filed on 29 July 1890 from the State of Missouri. 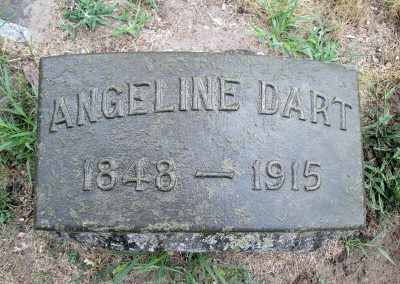 Angeline filed after Elias’ death on 15 November 1907 from Michigan. Once funds are available I may order his pension record from the National Archives which will fill in the 4th child that I seem to be missing. “U.S., Civil War Pension Index: General Index to Pension Files, 1861-1934 for Elias Dart,” database with images, Ancestry (http://www.ancestry.com), Elias and Angeline Dart: retrieved 15 August 2018. 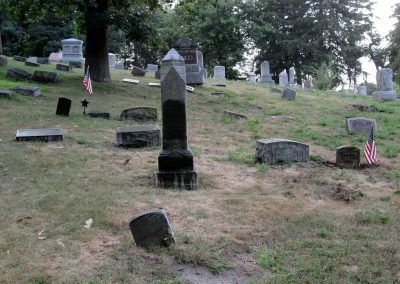 Visiting the Dart lot at Greenwood, their headstones are facing the road to the west and slightly uphill. 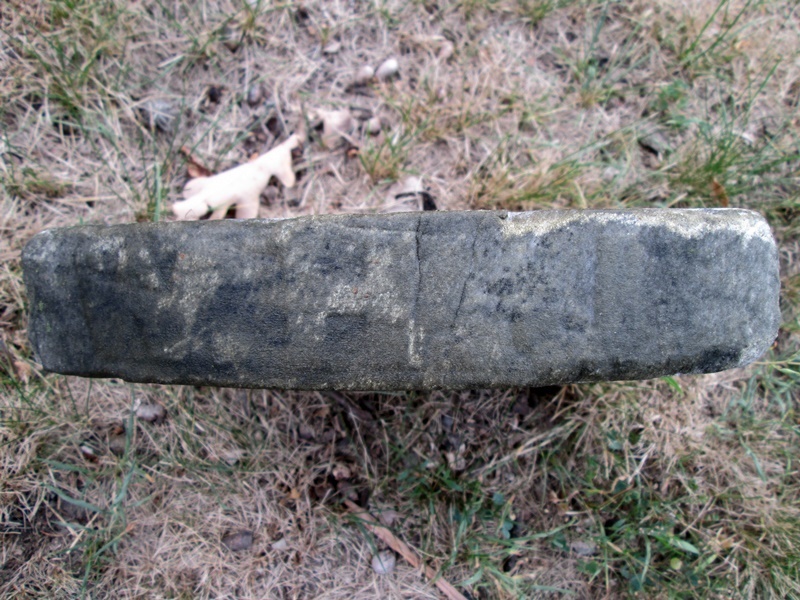 Armed with my cleaning equipment I spent nearly half an hour the morning of 15 August 2018 carefully washing moss overgrowth from each stone in order to read the inscriptions beneath. 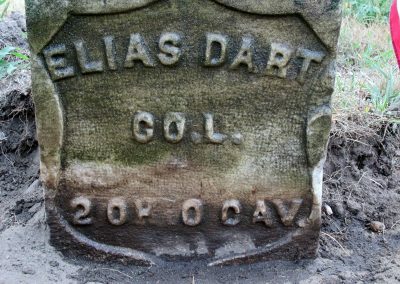 Elias Dart’s stone was buried halfway in the ground so I unburied the final line of text and cleaned the debris and soil surrounding to make more legible to future visitors. As Elias remarried in 1883 and because he and Angeline did not share any children together, it stands to reason that the 4th child mentioned on his death certificate may have been born after 1875 but before 1883: perhaps Margaret died with baby in childbirth? Sophrona L. Dart was in Niles, Berrien County, Michigan in 1860. She was then 11. She was living under the household of her sister Elmira Dart Donnell. “United States Census, 1860”, database with images, FamilySearch (https://familysearch.org/ark:/61903/1:1:MWDJ-FJS : 14 December 2017), Sophrona L Dart in entry for James C Donnell, 1860. “United States Census, 1880,” database with images, FamilySearch (https://familysearch.org/ark:/61903/1:1:M8SZ-P5D : 12 August 2017), Safrona Dart, Auglaize, Paulding, Ohio, United States; citing enumeration district ED 124, sheet 538C, NARA microfilm publication T9 (Washington D.C.: National Archives and Records Administration, n.d.), roll 1056; FHL microfilm 1,255,056. The 1880 Census clip above is taken from the Auglaize, Paulding, Ohio census. Note the census shows Edgar McMillen, age 15, living with Safrona Dart, age 26. Note that “D” in the 5th column: that stands for Divorced. Safrona calls Edgar her “son”. This would mean that she was married to Cornelius, father of Edgar. Also, William Harvey, age 5, is listed as being her son. Though no record has been found, it would make more sense that William Harvey was her actual son from a previous marriage that ended in divorce. It does not make sense that she would be married to her sister Fanny’s former husband, Cornelius. Sophronia L. Dart married Charles Schooley on 15 September 1880 in Defiance, Ohio. “Ohio, County Marriages, 1789-2013,” database with images, FamilySearch (https://familysearch.org/ark:/61903/1:1:2Q32-8DB : 10 December 2017), Charles S Schooley and Sophronia L Dart, 15 Sep 1880; citing Defiance, Ohio, United States, reference ; county courthouses, Ohio; FHL microfilm 1,977,639. 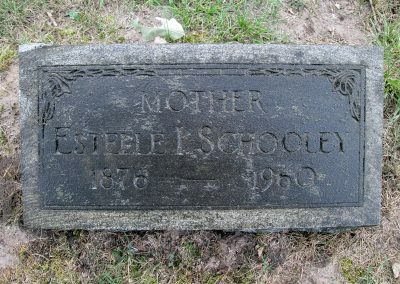 Christopher E. R. Schooley was born 15 December 1881 in Auglaize, Paulding, Ohio to Charles Schooley and Sophronia Dart. “Ohio, County Births, 1841-2003,” database with images, FamilySearch (https://familysearch.org/ark:/61903/1:1:XDB3-5HT : 13 March 2018), Sophrona Dort in entry for Christopher E.R. Schooley, 15 Dec 1881; citing Birth, Auglaize, Paulding, Ohio, United States, county courthouses, Ohio; FHL microfilm 925,298. A Sophronia Dart married John E Phillips in Morrow, Warren County, Ohio on 25 August 1883. This is likely not Sophronia Dart of Auglaize. 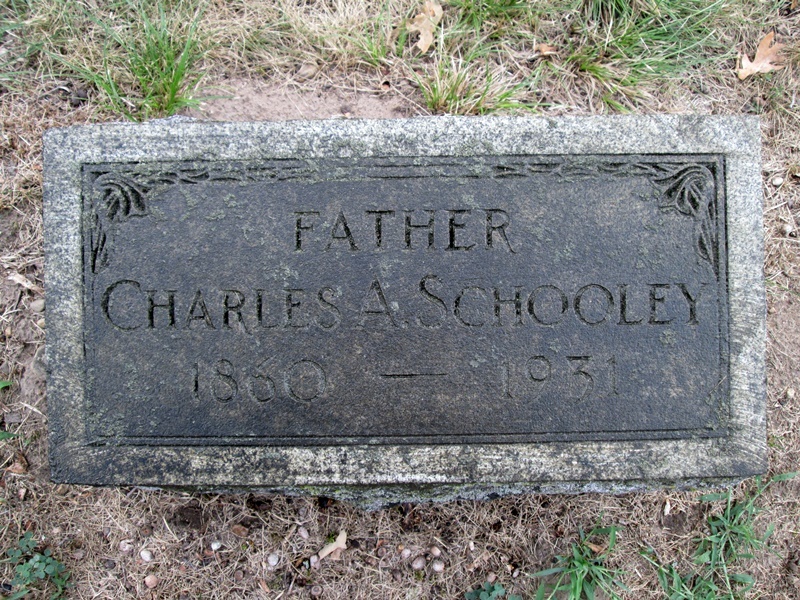 Charles A. Schooley is buried in Lot 6 of the Greenwood Cemetery in Walker, Michigan. 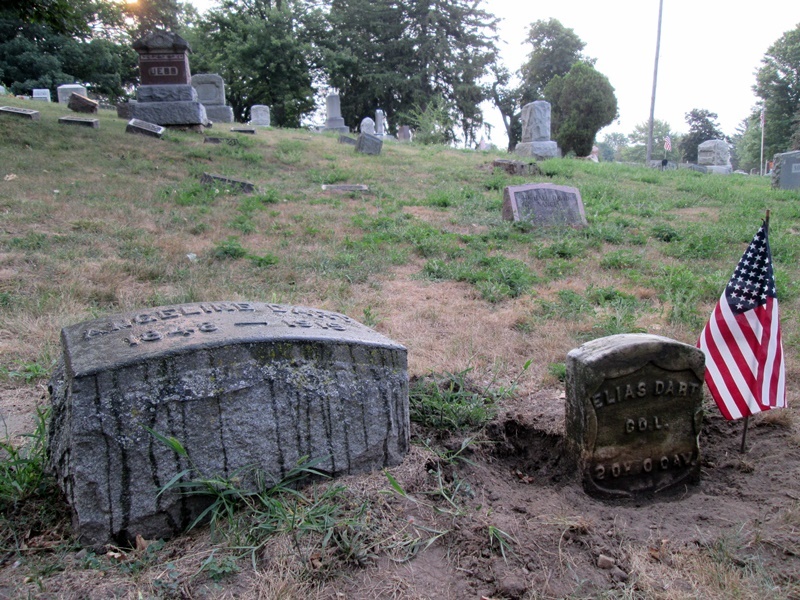 In this same lot is a Saphonisa Schooley, buried 12 April 1891. No death record has been found for Saphonisa. 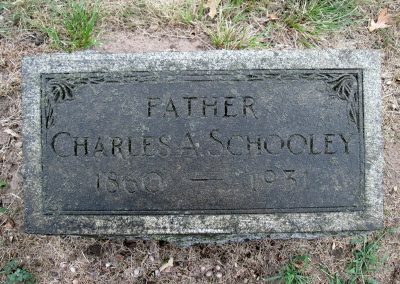 Charles Albert Schooley died 17 November 1931 from cerebral apoplexy. 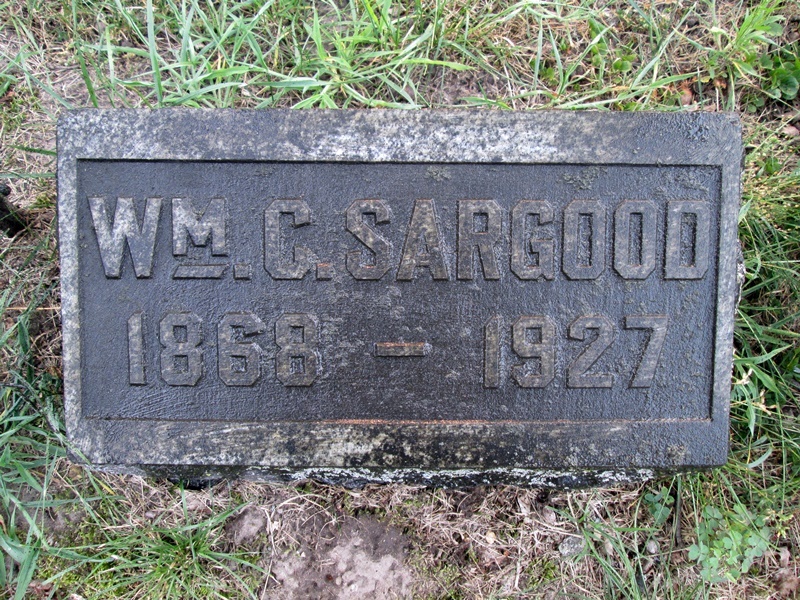 He was born 22 January 1860 in Ohio to William Schooly [sic] and Sarah Ball. Wife Stella of 434 W. Leonard was the informant.